The best example of the potential in urban infrastructure catering to this upcoming work generation is Edmonton’s Ice District. Chris Nasim, vice-president of asset management for GWL Realty Advisors spoke about the importance of the project during the recent Edmonton Real Estate Forum. Nasim theorizes that the lure of the Ice District’s restaurants and entertainment attractions will entice millennial workers to consider living and working in Edmonton’s downtown, which is comparatively quieter to Calgary’s. Additional benefits to Edmonton’s core could see the conversion of office space to residential which further enhances investment potential. 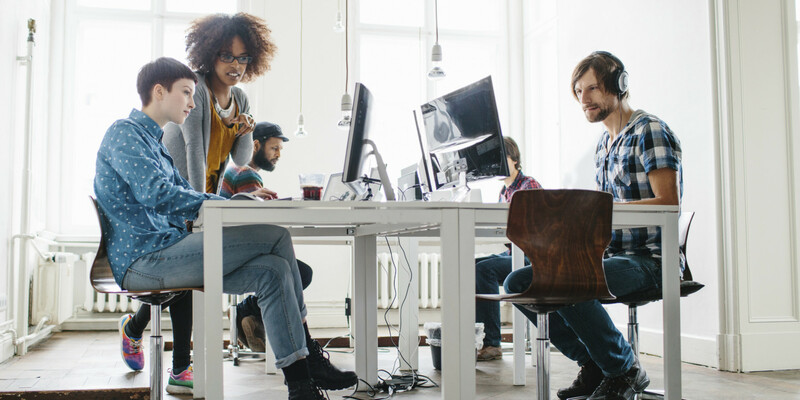 Once you’ve got the right location, the setup of the office environment is almost as vital to retaining millennials. This is a social generation that values collaboration and the work space must be arranged with this in mind. Ultimately this means creating opportunities for social interaction with coffee stations or outdoor lounge areas and providing amenities like child care. The upside for employers is that an open work space can often mean less square footage per employee. In many cases these employees don’t have an expectation or need for private office space and can be productive in open work stations. Millennials are environmentally conscious and are attracted to employers with shared values. Examples include bike storage, sustainability measures related to energy efficient building systems and recycling programs. 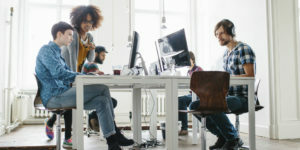 One thing is for certain, traditional office environments and big paycheques will not hold the same value for millennials as it did for the preceding workforce. It remains to be seen how far employers will bend to the wants of this generation. I’d love to hear your thoughts!